GN Solids Control has provided many sets oil sludge treating systems to global customers since the beginning of this year. Last week, GN Solids Control finished testing of another set oil sludge system in GN manufacturing plant. 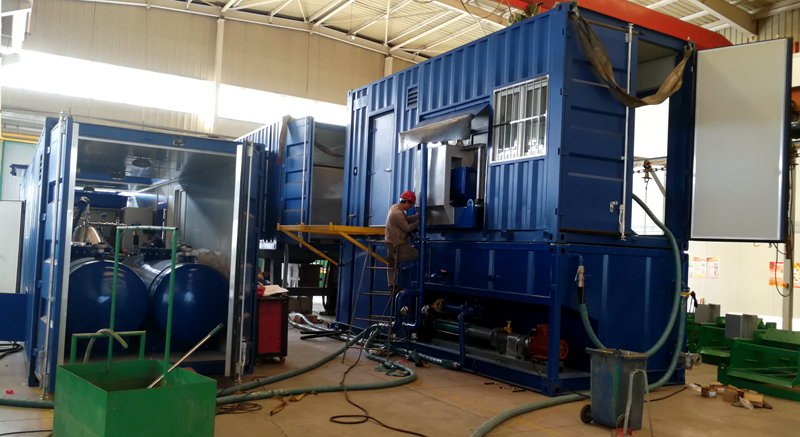 This oil sludge treating system is another repeat order we received from our European customer. 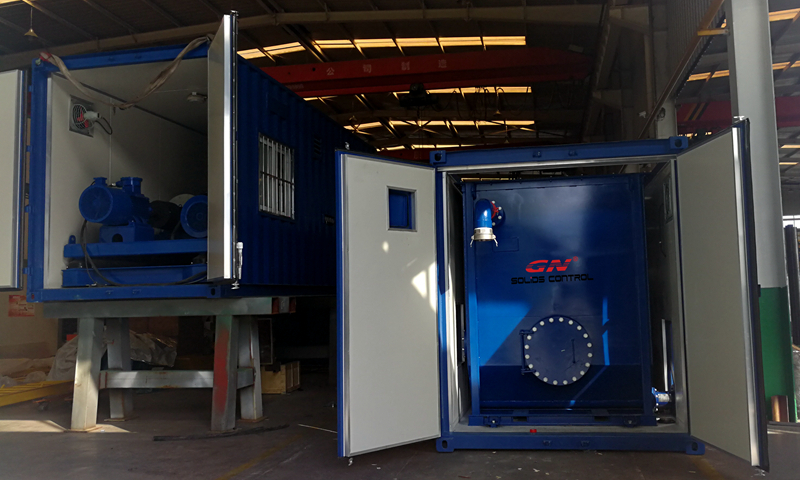 As one of the leading manufactures of whole oil sludge treating systems, GN Solids Control has provided equipment like shaker, centrifuge and mud tanks etc to more than 72 countries and regions. GN Solids Control products are widely accepted. Here are the main components in this GN Oil Sludge Treating System. Oil sludge is pumped into 2 small pre-mixing tanks by vacuum pump. Mud agitators keep these high viscosity sludge rotating from sediment. Chemicals and water are added so the oil sludge can be diluted with the help of hot heating pipes. After oil sludge diluted it will be feed into GN Hi-G shaker which are fixed GN own made composite frame shaker screens. GN Solids shakers are only using top brand vibration motors such as USA Martin. Large particles are separated out so clean fluids fall into the bottom mud tank which is also fixed with mud agitators. Decanter centrifuge is a fine treating equipment to eliminate solids larger than 2~5microns. GN Solids Control provides different bowl sizes centrifuges to choose. All the above mentioned treating equipment are using chemicals in order to have a better treating performance. When treating different oil slurry, different chemicals will be needed. We offer free testing if customer can provide a sample. An oil/ water separator and Disc-Centrifuge are used for further treating. Generally speaking, oil on the solids is around 1~3%, recovered oil BS&W is 2% to 3%. GN Solids Control also provides one oil storage tank and water storage tank.